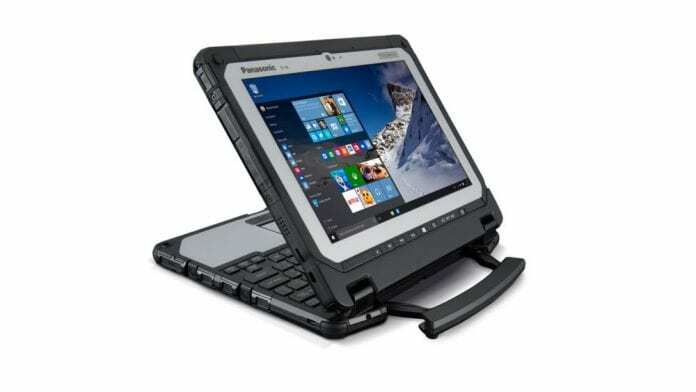 The entirely rugged detachable Panasonic Toughbook CF-20 Notebook laptop has been launched by Panasonic. The Toughbook is built for challenging environments, including field services, utilities, oil and gas, transportation and logistics, healthcare, insurance, public safety and defence. As a result, the Toughbook CF-20 is designed to meet MIL-STD-810G and MIL-STD-461F military specifications and is IP65 water and dust resistant. The device comes with a magnesium alloy chassis and the built-in handle also functions as a kickstand. The device also supports gloved multi touch display. On the specs, the Panasonic Toughbook CF-20 is powered by Intel Core m5-6Y57 vPro Processor (4MB cache, 1.1GHz up to 2.8 GHz with Intel Turbo Boost Technology) and has a Intel HD Graphics 515. The device comes with Windows 10 Pro and is downgradable to Windows 7 Professional. Is the new MateBook better than MacBook? The rugged device also sports a 10.1” WUXGA 1920 x 1200 (224 PPI) sunlight-viewable 800 nit IPS display. The Panasonic Toughbook CF-20 isn’t only tough and rugged but also flexible as the device can be easily detached to become a 10.1-inch tablet. The tablet/notebook also crams a removable, full-shift 2600mAh battery which offers hours of use without charging. Connectivity options on the device includes 1.5A USB on tablet, USB x 3, SDXC, HDMI, VGA, Serial, Ethernet (keyboard dock)Wireless: 802.11ac Wi-Fi, Bluetooth, Dual Pass Antenna, optional 4G LTE multi carrier or dedicated GPS. The Panasonic Toughbook CF-20 laptop will be available at a price of Rs 2,25,000 (estimated price plus taxes) which is about $3,300 in the US. It will be available from August in authorized Panasonic resellers and will include a standard three-year limited warranty. Given the fact that the Panasonic Toughbook CF-20 is purpose-built for challenging environments, including field services, utilities, oil and gas, public safety, defense etc, the steep price tag is understandable.